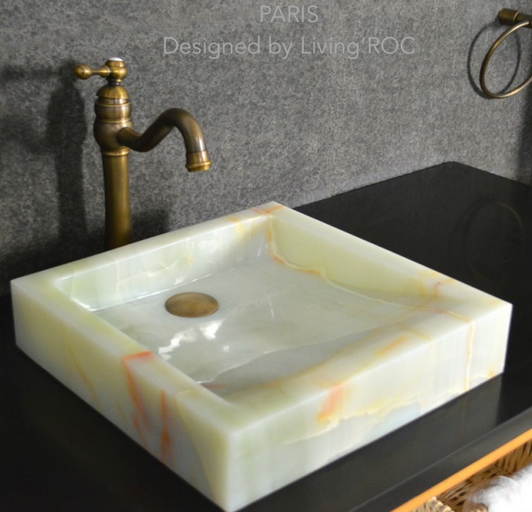 LivingRoc USA-The Blog: For no worry deliveries, please take your time! For no worry deliveries, please take your time! At Living'ROC we try to bend over backwards to make your buying experience on our site as easy and enjoyable as possible. So we make ourselves available to guide you in your purchases every step of your order. This is why we love (obviously) when all goes well! Thus we have chosen for you one of the best companies to carry your products, The Dependable delivery company, whom we entrust your orders for delivery without worry. We have negotiated prices that are fair to provide you quality transport and guaranteeing you a stress-free delivery. However, we can not be in each of your packages. All our products undergo various quality checks throughout their routing process, however there are concerns for mishaps along the way. We have seen independent concerns for the care of your products during transportation. Indeed despite optimal protection of our objects and particular care for deliverers, the x factor still exists and zero hassle can be 100% guaranteed. That is why we ask our customers the utmost vigilance in the delivery of their order. Think carefully when accepting the delivery, to hold it a minute to check the status of the products as well as inspecting your product when it is delivered. If you notice the slightest concern, you only need to note it on the delivery order sheet to obtain repair or replacement of the product. A matter of minutes required if you wish to make any claim. Indeed, as indicated by our terms and conditions, if these remarks are not made during the deliver, you can not subsequently exercise recourse. For a smooth delivery and enjoyment of your purchases, so take this little time and control of your order!